May 7, 2015 by iCepts Technology Group, Inc.
Additionally the Starter pack comes with a wide set to tools to customize the solution to meet the needs of every customer together with deep integration opportunities to be made through web services. 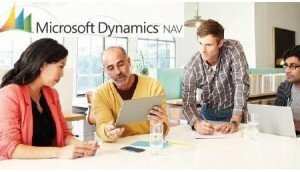 In licensing Microsoft Dynamics NAV, there are 2 options for its core functionality: The Starter Pack and Extended Pack. In this post, we will focus on Financial Management ERP Functionality with Dynamics NAV’ Starter Pack. With NAV’s Account Schedules you have access to powerful financial reporting tools which can help accountants and financial analysts to extract the most essential business data from the chart of accounts, budgets, cash flow accounts and cost types into financial reports, which can be used to efficiently monitor the health of the business and provide valuable input for the business decision makers. You get to choose the accounts you want to monitor and report on, change the order of the accounts, and combine figures in various ways, set up which columns to print, change the description of the accounts and supply them with additional notes. In addition, you can make simple calculations on the data you selected on the accounts schedules worksheet, compare current figures with historical ones and with your budgets. Approval of sales and purchase documents. Posting and reporting in an additional currency with the addition of the Multiple Currencies granule. Capability to export data from any form to Microsoft Word or Microsoft Excel® using style sheets. Two languages—U.S. English and one other. Set up sales and purchase documents archiving. Work with budgets in general ledger accounts with NAV's Budget feature. After you have created a budget, you can print a balance that shows variances to the budget by percentage. Work with multiple budgets at one time. For example, work with a 100 percent budget, a 110 percent budget, and so on. Budgets are generally entered per period for the relevant general ledger accounts. Fixed Assets and Insurance functionality is also part of the Starter Pack in NAV. Keep track of fixed assets such as buildings, machinery, and equipment. You can also post various fixed-asset transactions: acquisitions, depreciation, write-downs, appreciation, and disposal. For each fixed asset, you set up depreciation books in which the methods and other conditions used for calculating depreciation are defined. You can set up an unlimited number of depreciation books to satisfy legal requirements, and for tax and internal accounting purposes. This granule is well suited for international companies that need to use many depreciation methods. Allocate different percentages of fixed asset transactions, such as acquisition cost and depreciation, to different departments or projects by using allocation keys. Useful for when several departments share a fixed asset In addition, your company can keep track of insurance coverage and annual insurance premiums for your fixed assets and easily determine whether your assets are under-insured or over-insured. You can attach each asset to one or more insurance policies and also index insurance amounts. Electronic Payments and Direct Debits: Create payment proposals based on vendor documents and generate bank payment files in ISO20022/SEPA format or use the Bank Data Conversion Service for generating the appropriate electronic payment file for your bank. Keep easily track of the payment export history for your electronic payments and recreate a payment file whenever needed. Apply payments comes with simple streamlined process to mark and process the desired transactions. Create direct debit collections to get the money directly from your customers bank account and generate bank direct debit file in ISO20022/SEPA format. Reconciliation of Incoming and Outgoing Bank Transactions: Import bank transaction data from electronic files sent from your bank in ISO20022/SEPA format – or use the Bank Data Conversion Service for other file types. Apply the bank transactions automatically to open customer and vendor ledger entries and create your own mapping rules. Review the proposed applications and account mappings in an easy and intuitive way. Modify the algorithm behind the record matching is possible by modifying, removing or adding rules. Check Writing: Generate Computer printed checks with unique number series for each bank account. You can specify on the payment journal line whether you want this payment to be made with a computer or a manual check. Assists internal control by ensuring that the computer check is actually printed before posting the Payment. Check printing comes with flexible user options like voiding a check, Reprinting, Using check forms with pre printed stubs, testing before printing and also a possibility to consolidate payments for a vendor into a single check.